The Tax Commission is the branch of the Joint Italian Arab Chamber of Commerce (JIACC) dedicated to addressing issues concerning taxation. The JIACC Tax Commission deals with: Income and Capital taxation; VAT and other indirect taxes and levies; Double Tax Treaties (and tax-related issues of Investment treaties); Custom and Excise duties; ‘new’ International standards elaborated at the OECD level (e.g. BEPS, CRS, CbCR); regional tax issues (GCC and EU); etc. 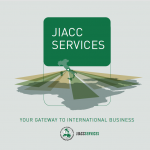 Below, a brief overview of JIACC Tax Commission’s objectives, tools and timelines. The Tax Commission was established with a twofold purpose. Supporting the Multinational Enterprises (‘MNEs’) in their dealings “in and through” the 23 countries member of the Joint Italian Arab Chamber of Commerce (‘JIACC’). The Tax Commission shall offer ‘first aid’, delivering legal opinions and assisting MNEs also in the second phase of investments. Another objective is fostering ‘networking’ among all tax experts of the 23 countries. Namely, CFOs and Heads of Taxes of MNEs, Tax Lawyers, Academics and experts from Tax Authorities. In order to achieve its objectives the Tax Commission will be using two main tools. The Tax Commission delivers four types of publications, mainly. The Tax Commission is involved in Conferences, Seminars and Workshops organised by the JIACC and organises own events explicitly dedicated to taxation (under the supervision and according with the guidelines of the JIACC). The members of the Tax Commission are Tax specialists with ample exposure to the JIACC member States’ markets, and strong expertise on JIACC member States’ tax systems. As of 1st October 2018 the Tax Commission panel is formed by the following 28 members, whose list, short bios and pictures are included below. Roberto is Chairman of the JIACC Tax Commission since its establishment (April 2018). Among the most prolific authors in GCC and International Tax Law, Roberto is co-author of two landmark essays on GCC VAT (International Goods and International Services both in Int’l VAT Monitor 2018) and a paper titled A Tax Law Perspective of the ‘Cooperation Council for the Arab States of the Gulf’ (GCC) in Intertax 2(2018). Roberto is frequently invited to deliver speeches at International conferences on the Arab States’ tax issues and is Member of the Editorial Committee of the Rivista di diritto tributario. He is also member of the Scientific Committee of the African Tax Research Network (ATRN). Pietro Paolo Rampino is co-founder, Vice Chairman and Treasurer at the Joint Italian Arab Chamber of Commerce, as well as the founder and CEO of the Italian Incubator of Excellency based in Jafza, Dubai. He gained more than 20 years experience in dealing in and through Arab States. Pietro has held top-tier positions throughout the years as Technical Court Advisor and Official Receiver for the Court of Milan, Chairman of the Board of Auditors as well as Internal Auditors of several medium and large Italian enterprises. Abdulkarim is a skilled expert in taxation, taxation flow and treatments, Financial Risk, payable flow, Risk Management, Corporate Finance and Credit. He holds a Master degree of Business Management, Project Management and Engineers Management from Business school of Milwaukee School of Engineering, Wisconsin (USA). Abdulkarim holds furthermore a Master certificate in project management a Master certificate in Knowledge Management. He got his Bachelor degree in Accounting, Business Administration and Economy at College of Al-imam Mohammed Bin Saud, Riyadh (KSA). Mohamed is a highly qualified Accounting and Finance Manager with exceptional skill in establishing accounting and financial systems as well as forming financial and accounting teams. He is quick decision maker and result-oriented professional with 27+ years’ experience in handling Accounts, Financial Management, Auditing, Financial Analysis, Reporting, Reconciliation of Accounts, Internal Controls and Budgeting & taxation in T. He Led the setup and implementation of VAT tax in KSA. Mohamed got his Bachelor in Commerce from the University of Alexandria (1988). Marco is Associate Professor at the University of Bergamo and Professor at the School of Financial Police (Guardia di Finanza). He is member of the European Association of Tax Law Professors and of the AIPDT (Italian Association of Tax Law Professors). He is the author of 2 books (La comparazione nel diritto tributario and L’imposizione sul reddito degli enti non commerciali) and many publications in the fields of Comparative and EU Tax Law, EOI and Business Profit taxation. He is speaker at many University conferences. Marco practices as tax advisor and is member of the Supervisory Boards of several industrial and financial companies. Mohamed has over 15 years of experience in international taxation and indirect tax. He started his career in a Big4 firm in Tunisia and Oman before joining MTN Dubai Ltd and later, in 2014, Muntajat Q.J.S.C. in Qatar, which has a presence in over 17 jurisdictions in Europe, MENA and Asia. In early 2017, he joined Aujan Group, a leading group in the FMCG, hospitality and RE business, to lead the tax function and to ensure VAT and excise tax implementation within the group. Mohamed holds diplomas in Accountancy in Business Administration (IHEC, Tunisia), Public Finance (ENA, Tunisia), Public Administration (ENA, France) and Taxation (ENI, France). Hany is CA with more than 25 years of tax experience in various industries in multiple jurisdictions including KSA, Egypt, Morocco, Kuwait, UAE, Bahrain, Oman, Qatar, Jordan, Turkey and South Africa with an extensive experience in direct and indirect and International tax, TP, CbCR, BEPS, PE profit allocation and leading VAT implementation for GCC. Hany had visiting mission in Canada under supervision of UN for studying tax systems and participated in creating tax systems in Large Taxpayer Centre. He worked in many companies and tax positions in leading MNEs and also in Egyptian Tax Authority as tax auditor. Hany holds master’s degree in accounting and VAT certification in GCC. Mohamed manages all the DP Deutsch Post – DHL tax activities and drives tax audits within North African countries. In more than 20 years, Mohamed has been appointed in the roles of Administrative, Finance and Audit Manager of leading Firms an MNEs operating in North Africa and the ME such as Huawei where held the position of Head of Finance – CFO (Morocco-UAE). Mohamed is member of the Board and Executive Member of the Int’l Association of Financial Executives Institutes (IAFEI), Founder and President of the Moroccan Association of Finance and Management (AMMFG) and Member of the AIA and IFA. Abdullah holds over 17 years of diverse and extensive experience in business advisory service and extensive Taxation experiences, encompassing CIT, Payroll Tax, VAT and Stamp Duty Tax as well as WHT in different business sectors. Wide experience in DTCs, OECD Models, guidelines and Commentaries, UN and US Models and other relevant laws and regulations. Abdullah, represent and sign contracts, tenders and documents on behalf of the Company. Skilled in interfacing with the external parties suppliers, Authorities, External Auditor, Tax advisory and Legal offices. Abdullah got his Bachelor of Accounting at El Azhar Univ. (Egypt). Giuliano is a Chartered Accountant and Auditor and founded, in late 2016, Foglia & Partners that steadily begun one of the leading Italian Tax Firm. Giuliano ranked in Chambers Europe 2018. He gained meaningful experience in leading Italian tax firms and, over the past 13 years, he developed remarkable skills advising domestic clients and MNEs as Partner of the leading Tax Firm Tremonti Vitali Romagnoli Piccardi e Associati. His area of expertise include, among the others: Intl Tax Law, Corporate Tax and M&A, TP and Tax Litigation. He is widely recognised as featured expert in Wealth & Estate protection and taxation of UHNWIs. Ali is an international tax executive with 25 years of experience in the O&G in multiple jurisdictions including Egypt, Libya, Algeria, Morocco, Syria, Iraq, Sudan, KSA, Kuwait, UAE and Bahrain with a wide knowledge of CIT principles and Intl tax planning techniques in corporate structuring, fiscal reforms and development of fiscal frameworks, TP, JVs, negotiations, acquisitions and divestments, DTCs, indirect taxes & WHTs. He joined BP in 2005 as Senior Tax Advisor and became Egypt Tax Manager in 2010 and he held the North Africa Tax Manager position in Jan 2014. Ali holds a Bachelor of Commerce, from Cairo University (1991). Noor is responsible for preparing and organizing the financial reports and all other statutory reports required under the federal laws of Iraq. As a tax expert, she’s Siemens representative in front of local tax commissions located in Baghdad and Kurdistan Regional Government by making sure to maintain the accounting policies and the reports presentations according to the latest updated tax regulations. Through her experience she worked as an auditor at one of the big four audit firms branch in Iraq and she was the team leader for more than 10 audit engagements with miscellaneous sectors like Oil and Gas, Banking and Trading. Noor holds a Bachelor degree in accounting from University of Baghdad. Shiraz leads Al-Tamimi’s regional Tax Practice across nine countries including Bahrain, Egypt, Iraq, Jordan, Kuwait, Oman, Qatar, Saudi Arabia and UAE. Shiraz is a UK qualified lawyer with over 15 years of International and GCC Tax experience. Shiraz regularly speaks at conferences and seminars on international tax issues and has been involved in advising governments on the drafting of tax laws. He is author, among others, of the JIACC Tax Insight n. 3 of 2018 on E-Commerce and VAT in UAE and KSA. Zubair is Fellow Chartered Accountant (FCAA) and Certified Tax Consultant (CPA Ireland) wit h a diverse and in-depth professional experience in indirect taxes at Accenture, EY, Dell and Facebook. He has been responsible for complex VAT advisory and transaction structuring along with leading various special nature compliance reviews, implementation of VAT/GST in new regimes, particularly Saudi Arabia and Malaysia. He was part of EY’s advisory committee responsible for advising GCC Secretariat on Unified VAT Framework. Radjoe is a tax lawyer with strong expertise in indirect taxation. He started his professional career as inhouse tax advisor at Unilever in the Netherlands. Thereafter he joined PwC Netherlands to advise multinationals on European indirect taxes. Last year he relocated from the Netherlands to Dubai to head up regional indirect tax for West Central Asia and Africa at Maersk. In his current role he is responsible for all indirect tax matters including the implementation of VAT and optimizing end-to-end indirect processes within the organization. Radjoe is born and raised in the Netherlands. Jawad is a qualified tax and finance professional with over 10 years of working experience in the field of Intl/Domestic Tax and Indirect Tax. Currently responsible for Tax and Zakat matters for the whole Group. Formerly with a Big4 firm, he gained solid experience in the Banking, Finance, Insurance, Retail and Pharma sectors. Jawad holds a BSc (Hons) from Oxford Brookes University (UK) and is a Fellow of the Institute of Public Accountants (Australia) and Institute of Financial Accountants (UK) and an Associate Member of the Institute of Cost and Mng Accountants. Among his key skills: external auditing, strategic financial mng., Tax/Zakat/VAT, Intl tax aspects of investments and cross border transactions, orator at seminars. Ibrahim is an Egyptian Tax professional, He was graduated from faculty of commerce at Cairo university with major Accounting in 2010. He is working in tax field since more than eight years. He formerly worked as a tax consultant in Mazars and PwC, and for corporations in Lafarge Holcim as a Tax Section Head and in InterCement as Tax Manager. He is member of the Egyptian Society of Taxation since 2013. Mustafa is a CPA holder with more than 10 years of extensive experience in Direct, Indirect, and International Taxation. He had various managerial tax positions in leading MNEs including Schlumberger and Lukoil in multiple jurisdictions including Middle East and Africa countries. He is currently serving as Group Head of Tax at United Al Saqer Group, a UAE Based multi-billion $ global conglomerate operating in various sectors including Automotive, Real Estate, and Hospitality in multiple countries. Mustafa is a trilingual tax professional as he speaks Arabic, English, and French. Glenn is a tax professional with over 9 years of experience in the field of International Tax Structuring, TP and Indirect Tax with a demonstrated history of working in a Big 4 environment and the banking industry in both EU and the Middle East. Skilled in VAT assessment, design and implementation, TP structuring and documentation, CbC reporting, BEPS impact assessment, PE profit allocation, and tax due diligence. Glenn holds Master degrees in Law and Tax from the University of Antwerp (Belgium) and is fluent in English, Dutch, German, and French. Aaron joined Valentino Group 12 years ago as Country Tax Manager and later on he also led the Dutch and Luxembourg subsidiaries. He earned extensive experience in different topics such as TP (as part of the team that implemented the TP policy and documentation since 2010), VAT and business restructuring. Recently he signed one of the first Patent Box agreements approved by the Italian Revenue Service and he is currently closing an APA before the same Tax Authority. From 2014 to 2016 Aaron has been a member of the VAT Expert Group (the VAT advising body of the European Commission) and he is currently member of Fondazione Altagamma’s tax working group. Aaron is a Chartered Tax Advisor. Vito is the Head of the Fiscal Department at Salini Impregilo, responsible for assistance and consultancy in tax matters to the headquarters and its subsidiaries/affiliates in Italy and abroad. He joined Salini Impregilo in 1987 and as of 1990 seconded in Cameroon, Ivory Coast and Mali. In 1997 he moved to the Headquarter and, since then, he gained solid expertise in various areas of taxation, tax compliance, tax litigation management, etc. Due to his exposure to the specific industry tax-related aspects, he is called to participate at International conferences as a speaker. Leopoldo is a Postdoc Research Fellow at the IBFD, Visiting Professor of Intl Tax Law at the University of Turin (Italy) and a former Research Associate at the Max Planck Institute (Germany). He holds a PhD (Valencia, Spain) and an LLM in Intl Taxation (Florida, USA). He is the author of the book “Double Non-Taxation and the Use of Hybrid Entities: An Alternative Approach in the New Era of BEPS” (Kluwer Law Intl, 2018). He has been keynote speaker at conferences all around the world, including, e.g., the Universities of Sydney (Australia) Vienna (Austria) Heidelberg (Germany) and the Michigan (USA). He has practised as attorney-at-law and tax advisor in Chile, Brazil and USA and is a current member of the Chilean Bar Association. Claudio has been Full Professor of International, EU and Comparative Tax Law from 1986 until 2015 (when retired) at the Universities of Bergamo and Turin in Italy and Professor of Tax Law at the “Academy of the Italian Financial Police” (Guardia di Finanza). Co-founder of the ‘European Tax Law Professors Association’ (EATLP) and Founding member of the Institut International de Sciences Fiscale, Claudio is the dean of Italian Comparative Tax Law scholars. He is author of thousand articles, papers and chapters in books on International, EU and Comparative Tax Law issues and editor and of many books and, among others Principi di diritto tributario europeo e internazionale (Giappichelli: Turin, 2016). He is author of the landmark Monography Tutela dei crediti tributari all’estero (CEDAM: Padua, 1978). Binh is Professor at UNSW (Australia) and RMIT University (Vietnam). His research output includes 9 books, 44 book chapters and 65 articles in journals. He has served as a founding co-editor of the eJournal of Tax Research (A ranked journal) and as an editorial board member of several other journals. He is International Fellow of the Tax Administration Research Centre at Exeter University (UK) and Adjunct Fellow of the Tax Law at Monash University (Australia). His academic work had some impact on tax policy and administration both in Australia and in New Zealand. His research has been cited at Federal parliamentary debates and in the High Court of Australia. Riccardo is a Partner in the Tax Department of Bonelli Erede, leading Italian Law Firm, based also in Africa (Ethiopia, Egypt and South Africa) and in the GCC (DIFC, Dubai). His expertise include: National and international tax law, with focus on extraordinary financial transactions, real-estate transactions; individuals’ tax matters; ruling applications; Tax aspects of complex transnational group reorganisations; Opinions on national and international tax matters regarding VAT and other indirect taxes; implementation of agreements against double taxation and EU directives. Robert (LLM, PhD) currently serves as Of-counsel to Crowe in Oman. He has over 30 years of professional and academic experience in global indirect taxes, advising a diverse portfolio of clients including some of the largest Fortune 500 firms. Robert held senior positions in indirect tax with several of the Big 4 and top 10 accounting firms in the EU and US, and was in-house tax counsel to a US Fortune 100 company. He is Professor of Tax Law at GHU (Curacao) and formerly at the Erasmus University (NL) and at New York University (USA). He is author of dozens of academic journal articles and the author or (co)editor of 8 books, including (with Richard Krever), VAT and Financial Services (2017) and Legal Interpretation of Tax Law (2nd ed. 2017). Thomas has worked at Tier 1 tax law firms in the EU (Brussels and Paris) before moving to the Gulf in early 2017. He has been involved in several high profile deals and has worked for blue chip and quoted companies and institutions in various sectors. In recent years, he was heavily involved in EU tax policy projects, as well as in projects with Governments in the Gulf region due to the pending introduction of VAT. Thomas publishes regularly and is a regular speaker at international events. He also teaches Tax Law at the Solvay Brussels School (Belgium) and VAT in the Tax LL.M at Paris Sorbonne Abu Dhabi (UAE). Thomas holds a law degree of the Catholic University of Leuven and a tax masters degree of Solvay Business School. Syed Ali Raza is ACCA UK qualified. Sayed has over 11 years in big4 and multinationals in Corporate tax, indirect taxes and finance. He has Specialization in the Middle East market. Currently he is with BAE Systems PLC UK as Regional Indirect Taxes Manager for GCC.